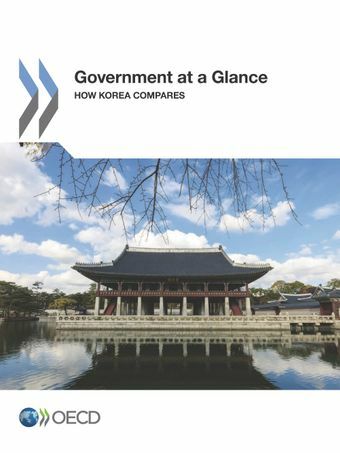 This report provides a series of indicators on Korea's policymaking practices and government performance compared to those of other OECD countries and of the G7 countries. Based on the Korean government reform objectives, this publication discusses how to strengthen evidence-based policymaking in the Korean public administration and, more generally, how to improve public service delivery and results for more inclusive growth. Although Korea is currently in an enviable fiscal situation compared to other OECD and G7 countries, the growing old-age-dependency ratio will inevitably increase budget pressures in the coming years. Concrete actions are therefore needed now to promote greater efficiency and value for money in public spending and public service delivery. The report finds that Korea could maximize benefits, reduce unnecessary costs from administrative rules and regulations and increase public sector efficiency by making better use of performance information in the design, implementation and evaluation of public policies. More systematic consultation of citizens and other stakeholders, through the use of digital tools and technologies, for example, could help address a relatively low level of confidence in public authorities. Korea still lags behind top-performing countries such as Australia, Canada, France, the United-Kingdom and the United-States when it comes to engaging stakeholders in regulatory policy making. This is partly because stakeholders are generally consulted at a late stage when a draft regulation already exists. Earlier consultation processes would allow potential problems and burdens to be identified. The share of the population aged 65+ in Korea will exceed 20% by 2025 & 35% by 2050. This will mean higher social and health care spending and lower tax returns. Requires action now to strengthen policy-making practices and public sector efficiency. The main challenge for the Korean health system will be to shift its focus from an expansion of hospital services to more effective and efficient ways of addressing the health needs of a rapidly ageing population in primary care. Rather than dealing with chronic diseases in hospitals the Korean health system should strengthened the delivery of care outside hospitals which is less costly, which is a strategy used in most other OECD countries.